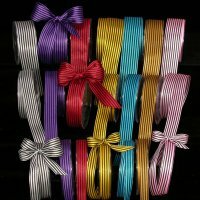 Whether you are using this striped satin ribbon to beautify your event, or using them to create a beautiful bow, you just cannot fail to attract attention with this magnificent imported ribbon. 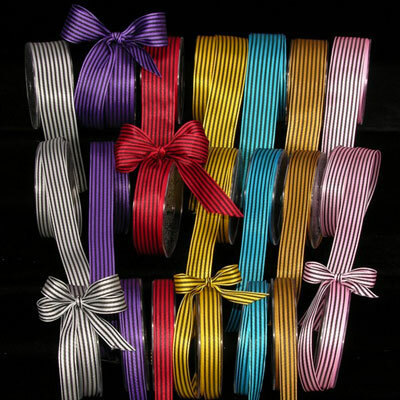 Available in 7 colors & three narrow widths makes this ribbon also ideal for gift packaging! At The Ribbon Diva, we carry a large selection of Striped Ribbon that will make are a great addition to any project or event! An extensive color selection is available to meet the needs of the bridal, design and custom packaging markets. 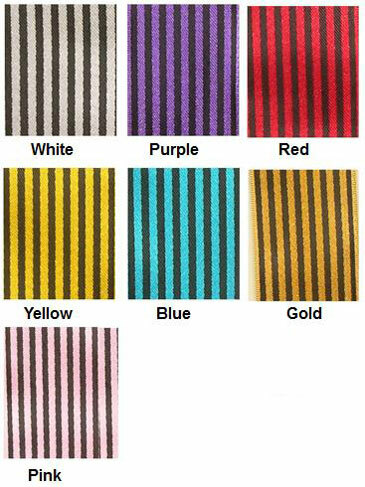 Widths: 5/8", 1" & 1 1/2"
....Please select Blue Gold Pink Purple Red White Yellow .